Beginning immediately all retiring/discontinued colour products (i.e. ink, paper, ribbon, accessories, etc.) will only be available while supplies last. 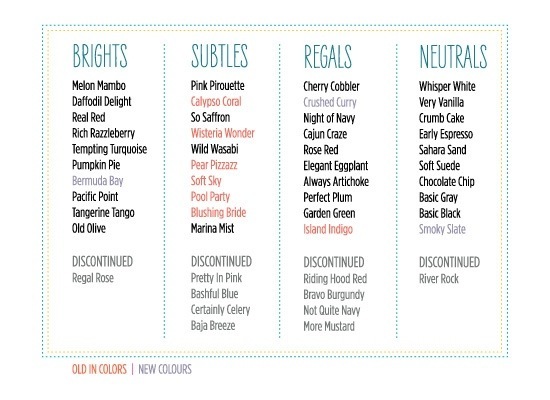 So if there is a discontinued colour you want contact me ASAP or purchase directly from my online store (just click the shop now button on my stampin up blog http://stampwithannamathieson.stampinup.net). This is particularly important if you want to get any re-inkers as they seem to go fast. As well as some colours retiring from the range, our entire colour range has been rejuvenated with the return of some favourites & 3 new colours. Here’s a great youtube video from Stampin Up HQ explaining why the changes were made, and of course some great crafting projects are included as well to inspire you! Also I have just found out that our watercolour pencils & crayons are being discontinued due to unforeseen problems with the supplier. The following items are only available while supplies last. Please do not hesitate to contact me if you have any questions or need any help with your crafting needs.